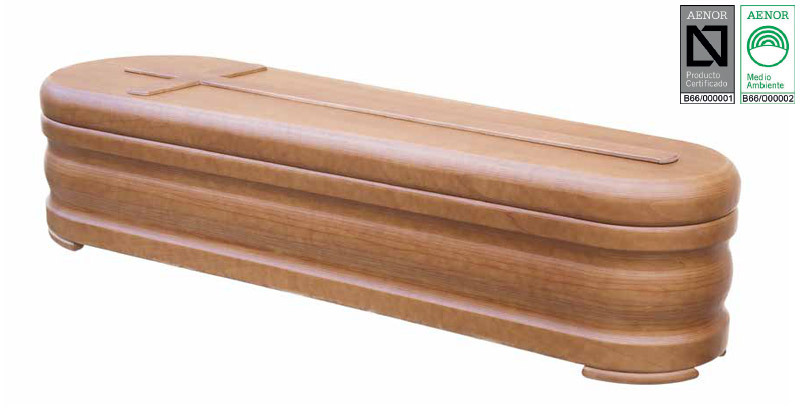 Eco-friendly coffin models in laminated wood with elegant and modern designs that stay on top of market trends. 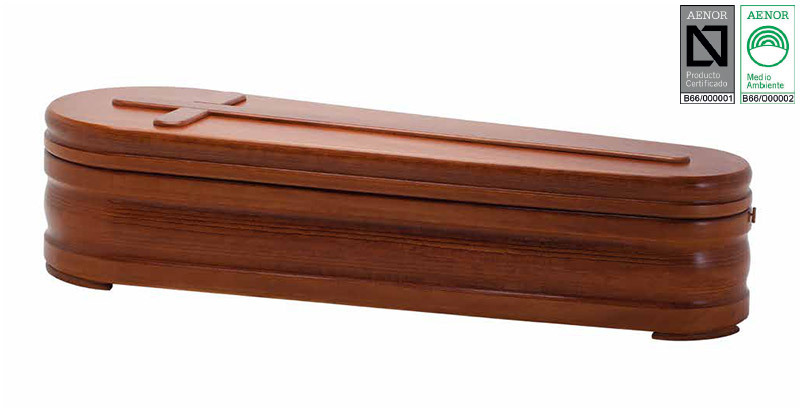 All models in the CREMATION RANGE have been certified by AENOR N and AENOR ENVIRONMENT. 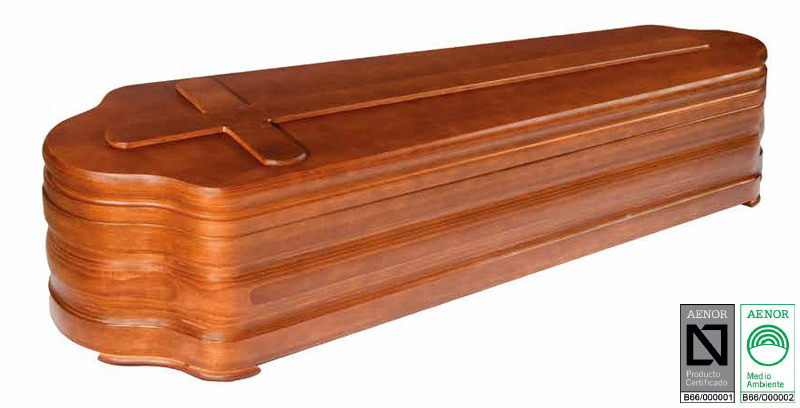 All coffins meet the requirements of section 7 of Standard UNE: 190001:2013. This means that all the materials used to build these ecological coffins are environmentally friendly in their entire service life, with combustible, degradable and/or biodegradable properties. 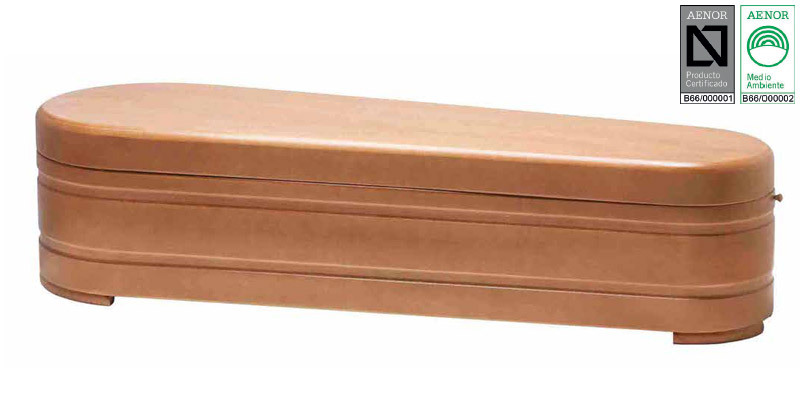 Additionally, all the materials used to make our CREMATION RANGE, like all of our products, comply with current plant protection legislation in Spain. 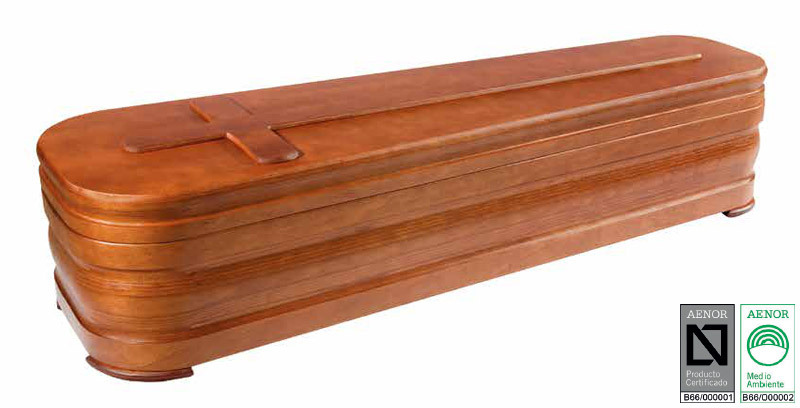 All coffins listed here therefore meet the requirements of current legislation as organic products ideal for burial and cremation in the most environmentally-friendly way possible. Flat cover made from ceiba/poplar wood. Moulded side panels or top and bottom grooves made from ceiba/poplar plywood. Dye: Natural water-based dyes. Hazelnut or walnut colour.